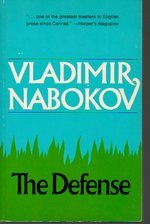 The Defense, by Vladimir Nabokov. A touching yet tragic story about a grandmaster's fixation on chess and the sympathy his somewhat morose genius engenders in his fiancée and her family. After his nervous breakdown, he’s prescribed abstinence from the game. And it isn't until near the end of the novel that his inherent need for the board inveigles him into plunging irretrievably into its familiar rows and columns. Nabokov is a genius with language, and his love of word play morphs into a dizzying merry-go-round of sly puns and mind games. You’ll smile at his similes and marvel at his metaphors throughout. 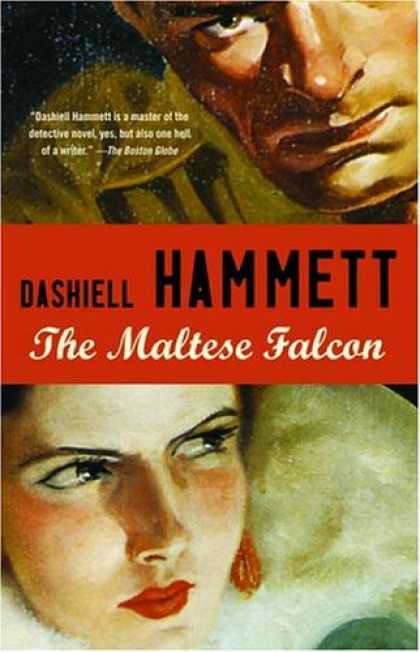 The Maltese Falcon, by Dashiell Hammett. Crime/mystery novels rely almost exclusively on dialogue and terse detail. This generally fails to satisfy my reasons for reading in the first place. I believe literature is a superior form of storytelling over film primarily because narrative does what film can’t – allude, sometimes ingeniously, to things wholly separate from the things described, e.g. “The sun clung to the horizon like a bright barnacle”. I realize this is solely subjective on my part, but there you go. Having said that, both the plot development and the dialogue are first rate. 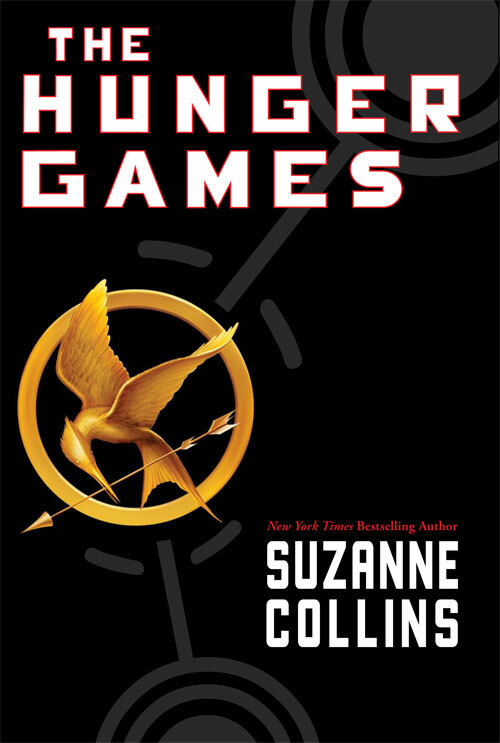 The Hunger Games, by Suzanne Collins. I’ve long maintained that novels are superior to film. Maybe it’s just the avid book fan in me trying to persuade the average movie goer to read more. To those unconvinced, consider the complaints from fans online about how this movie glosses over or mistreats key elements in the novel. This shouldn’t surprise. When contrasting books to their movie counterparts, I’ve been disappointed with everything from The Lord of the Rings to Interview with the Vampire to Old Yeller. A few months ago I didn’t even know this novel existed until I saw the movie trailer. At first blush it seemed like a silly premise to me – a futuristic version of the Roman Empire’s ancient Coliseum filled with the cast of Saved by the Bell. But a writer friend who hates most everything told me the books were good, so I decided not to judge the movie by its trailer and got book one of what turns out to be a trilogy. I’m glad I did. Apart from the occasional cliché, it’s well written. The story is told in first person, present tense form, which is a nice change from the past tense standard. Collins knows the tricks of the trade. She applies every known plot device, and she often does more than one thing at a time. Details get introduced without slowing down the story. Describing someone new in a way that immediately identifies them, makes them memorable and relevant to the scene, and establishes their relationship with the protagonist are all important tools for creating an engaging read. The novel is disturbing, though. Without giving too much away, these competitors, or tributes, are not only randomly chosen and forced to participate in an arena death match. The totalitarian regime in this dystopia will punish the districts they're from if they refuse. But the real kicker is that these participants are children. None of them is over 18 years old. Katniss Everdeen, the protagonist, is only 16. Rue is only 12. This makes the killings more terrifying. They’re just kids after all. The best stories are the ones that are character driven. And because these characters are not only well fleshed out but also of such a tender age, the story is highly emotional. Collins knows how to pluck the heartstrings. Hell, she’s fashioned her own finely tuned harp. 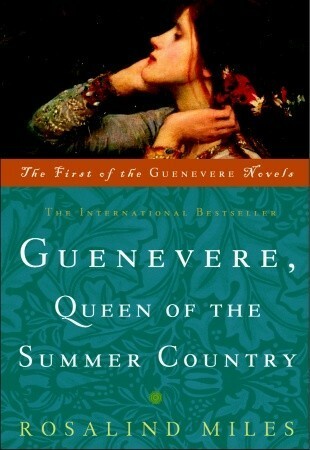 Guenevere, Queen of the Summer Country, by Rosalind Miles. Over the years, many writers have given us their versions of the King Arthur legends, some with better critical success than others. When I think back to the good ones like Steinbeck, Stewart, and Tennyson, memory recalls the not-so-good ones, too, like Lawhead and Monoco. Miles falls amid the latter with a splat. While the title and cover implies Queen Guenevere’s point of view (which I looked forward to exploring), instead Miles assumes the omniscient view. This is actually a good thing, since being stuck inside Guenevere’s head for pages on end got tedious fast. The same thoughts ran madly around in her brain. I will go back to Camelot. Why should I love him, when he does not love me? Sadly, Miles, like Guenevere, does nearly everything wrong. For starters, the book packs more clichés than the Guide to Clichés Almanac & Dictionary. For seconds, every character’s interpretation of a given scene is exhausted, leaving nothing for the reader to surmise (apart from the thought that Miles must consider her readers incapable of inferring for themselves). Third, she doesn’t seem to know the difference between evoking and emoting, meaning she tells us how these characters feel but never writes in a way that allows us to feel it for ourselves. Lastly, the love scenes are little more than grocery lists of anatomy. Yawn. Kiss Gwen on the neck and read her profundity – Oh, my love, my love, my love. Since she’s hailed as a “well-known and critically acclaimed English journalist, novelist, and broadcaster,” I assume Miles was simply too busy to redraft her manuscript into something less shameful. If you must give your child lessons, send him to driving school. He is far more likely to end up owning a Datsun than he is a Stradivarius. Children do not really need money. After all, they don’t pay rent … their allowance should be just enough to cover chewing gum and an occasional pack of cigarettes. A child with his own savings account and/or tax shelter is not going to be a child who scares easily. People (a group that in my opinion has always attracted an undue amount of attention) have often been likened to snowflakes. This analogy is meant to suggest that each is unique – no two alike. This is quite patently not the case. People, even at the current rate of inflation – in fact, people especially at the current rate of inflation – are quite simply a dime a dozen. And, I hasten to add, their only similarity to snowflakes resides in their invariable and lamentable tendency to turn, after a few warm days, to slush. This is good cynical stuff. Still, Metropolitan Life is even better.